How to Post Phishing Page URLs to Facebook and Other Social Networking Sites. | Kanishk's Technical Blog. Today I am going to tell you about a very useful trick through which we can post Phishing Page URLs to Facebook/Twitter or any other Social Networking Site.This trick has been written by my based on my personal research consisting of the topic "How to Post Phishing Page URLs to Facebook".Recently I've been working on it and I got this trick very easily,So lets begin our tutorial on "How to Post Phishing Page URLs to Facebook and Other Social Networking Sites." So,I'll first explain to you all that "What are phishing links?" and "How you cannot easily post phishing page URLs to Facebook?" 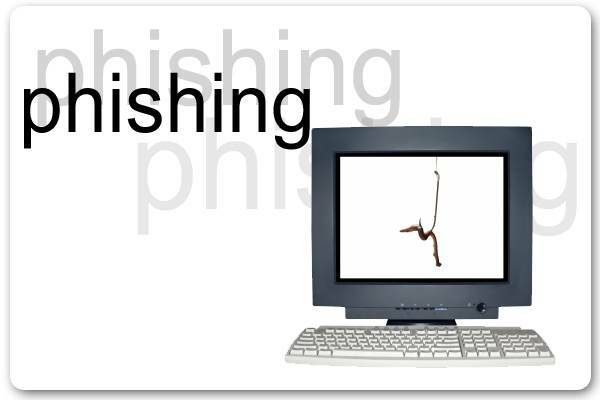 Phishing URLs are the URLs which contain the URL to a Phishing Site or any Web-Hosting Site which consists of a Webpage which the hacker promises to be the genuine site but its not.The Site asks you to enter sensitive information like your Bank Account Details and Password or your Social Networking Account password and e-mail. Like,A hacker would send you a E-mail pretending to be someone from the Official Site of Facebook and would say "We've monitored some Unusual activity from your account therefore,we need you to verify your account.To Verify Your account,CLICK HERE (Phishing URL)" And When you click on the link,you're taken to a Fake Facebook Log-In Page which asks you to enter your account details in it. When you do so,The E-mail and Password are sent to the Hacker in a text file. How you cannot post phishing page URLs to Facebook? Many of you people must have tried Posting Phishing Links to Facebook to directly give it to your Victim but Alas! You can't do so.So the question is,WHY? The Answer is,These days many Web-Hosting Sites have earned a reputation for being used mostly as a tool for Phishing Purpose and therefore,Almost each and every Web-Hosting Service has been therefore blocked by Facebook and other social networking sites.So you can't probably post phishing Links to Facebook. Now,I'll tell you a nice way to bypass this "URL BLOCKING" on Facebook and post your Phishing Page URL to Facebook Chat-Box/Comments/Posts. So,First I'll explain all the things that we'd need for this tutorial. 1. Be Ready with your Tab Napping Site of Fake Facebook Log-In Page. 2. You need to have your Victim Online in order to quickly give him the Link. 3. One URL Shortening Service open to Shorten the Link of Your Phishing Page. If you Need Some More,You can Google. Now, just enter your Phishing Page's URL in one of the URL Shortening Services and then copy out the Shortened URL it gives you.Now just paste the link of the Shortened Link you've copied to the victim's Chat-Box/His Wall/ or any other post and you'll see the the URL actually does gets posted without Facebook Detecting that its "SPAMMY/PHISHING SITE". 1. The Phishing URL can only be posted once and not Multiple times. 2. If you do Post it Multiple times then you'll see that it gets blocked by Facebook. 3. If you want to post it Multiple times then you have to use another URL Shortening Service to do So. 4. The shortened link will only remain alive for some time, so please get your victim to click the link quickly. So,I hope this Article Helps you and you find it useful. This Tutorial is only for Educational Purposes and I will not be held responsible in anyway if this method is used for illegal purposes.I myself do not encourage hacking in anyway. Your link may be containing the internal ip which cannot be accessed by the external user(friends). You might have to convert it to external ip.